how are you so far? have you been taking good care of your skin or been burn out or tired out by your work ? Christmas and other festive seasons are coming.. it is a good month now to start looking into your skincare regime and your skin and let the expert at PPP Laser Clinic help you with your skin . 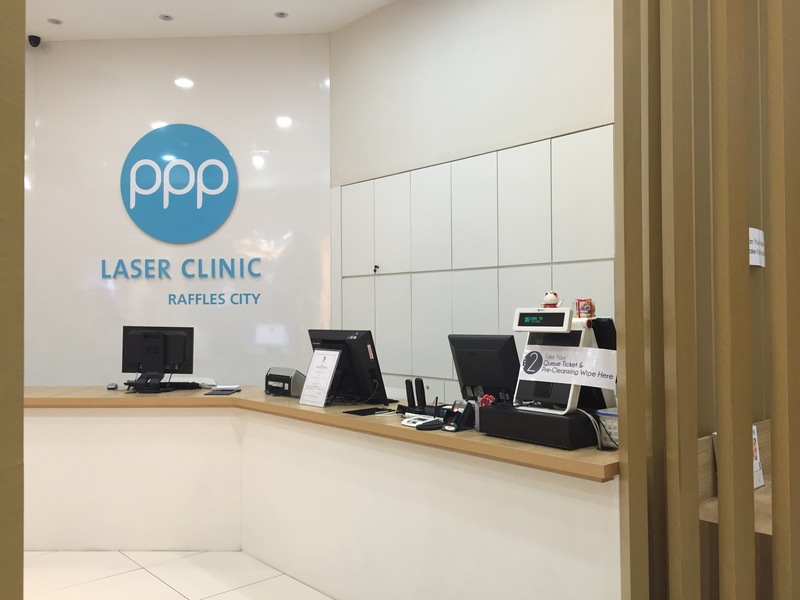 PPP Laser Clinic’s 360 Solution Launched recently that it is so awesome where the doctor will analyse the skin and give recommandation and what to do for your skin. 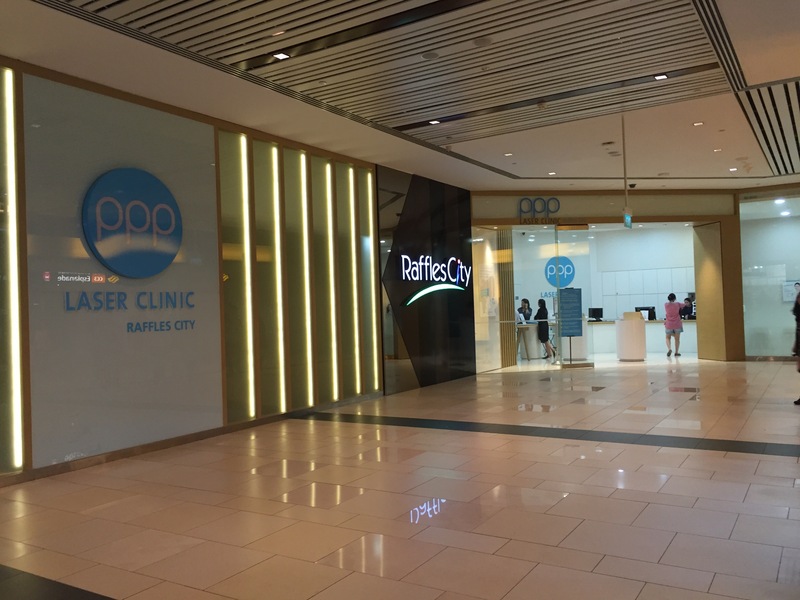 PPP Laser Clinic’s 360 Solution launched at Raffles City and is so convenient for everyone. So what does 360 Solution include of? 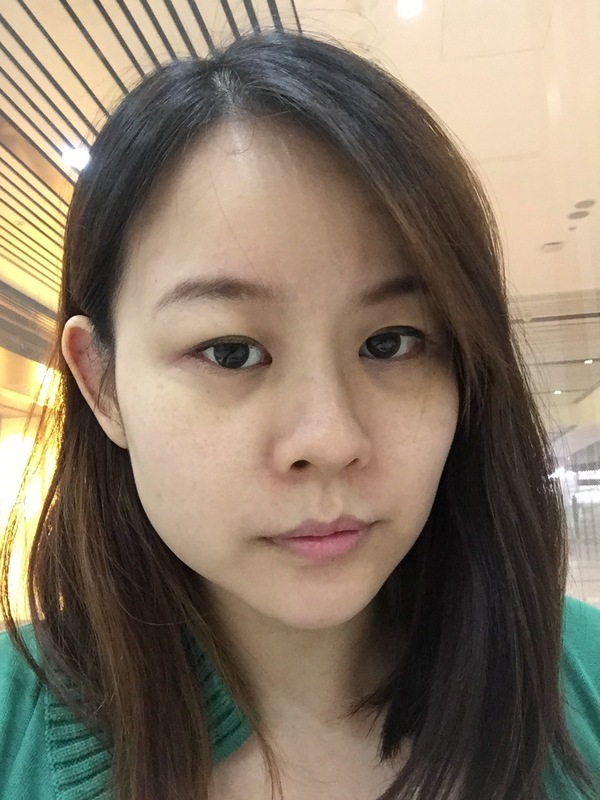 This is how my tired skin look and i didnt put makeup so that the doctor can analyse my skin. 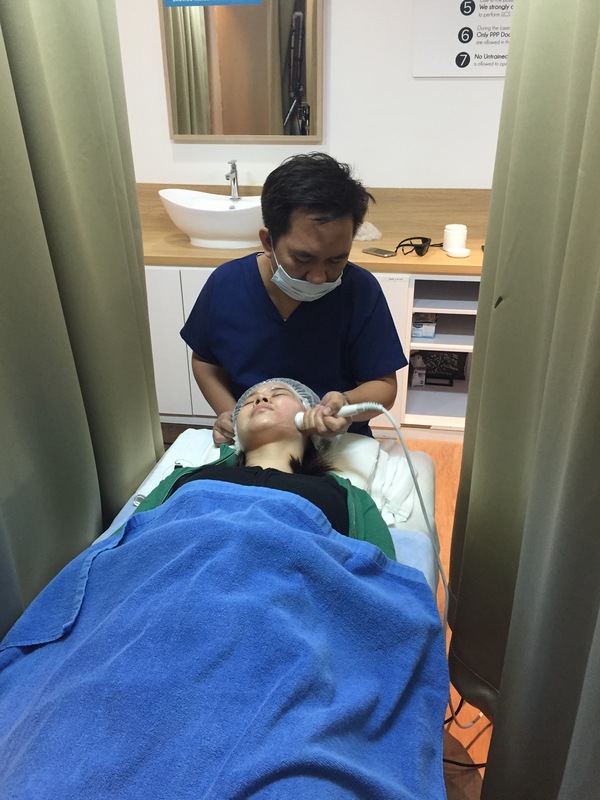 The doctor explains to me how PPP Solution works, as it combines the use of lasers and light techology to achieve near perfect skin with focus on the 3 Cs : Color, consistency and contour. The doctor identify that i have the following skin problems : Skin dullness, enlarged pores, pigmentations and sagging skin around my lower chin. Started with this, Laser treatment, i must say i am really pretty scared at first as i didnt try before laser treatment that is without any numbing cream. however as the treatment goes on it is pretty much acceptable. P+ is a non-ablative intensive laser treatment that targets rejuvenation of the skin in the epidermis and upper dermis layer. This treatment helps to enhance the skin texture and effectively control oil glands to facilitate acne recovery and deep cleansing of the pores. 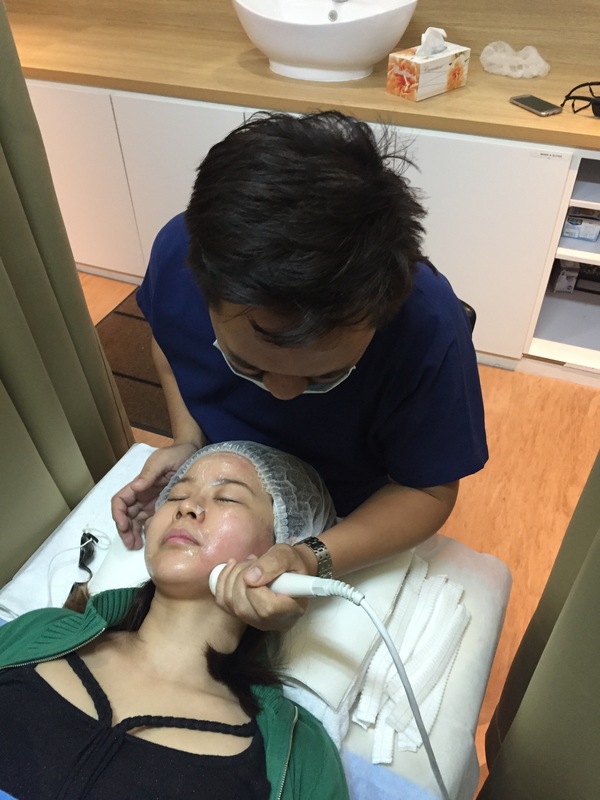 The doctor is doing RF treatment for my skin to improve my skin laxity and reduces depth of sagging skin and give it an overall youthful complexion. This also helps to lifts and tightens my loose skin around my neck , jawline and eyes to achieve a more contoured face. Fractional Laser : A non-invasive treatment to deliver a laser bean divided into thousands of microscopic treatment zones targeting a fraction of the skin at a time. This treatment has some threshold of pain to endure. so be prepared but of coz the results are very rewarding. i do feel a bit of pain throughout but it is all bareable as the nurse there are helpful and understanding. Collagen is the “backbone” or structure to our skiin much like the framework to a house . As we age the collagen bands relax causing my skin to sag and develop lines and wrinkles. After treatment, i am giving sunblock to apply and was told to apply sunblock daily. My friends had mentioned that they can see my skin quality has improved and also asked me did i do something to my face. 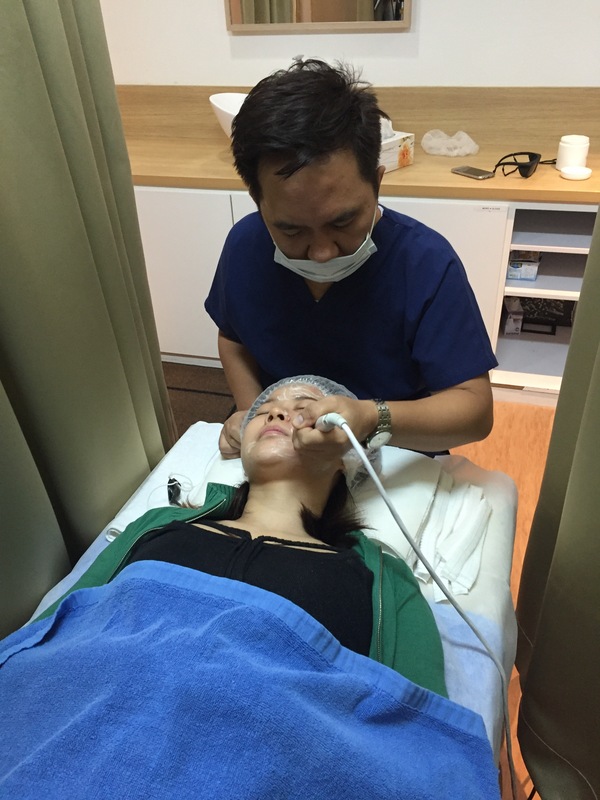 I must say there is no downtime and that it is not noticeable that i did any treatment but my skin improve daily during the 2 weeks. i can feel my skin more smooth than before, it feels like baby skin. i would definately recommand this treatment for everyone and also for myself to go back again soon. uneven or dull looking skin tone, pigmentations include melasma, freckles, lentigo, hori’s nevus, birthmarks.